The Autumn issue of CONTACT visits people across the world preserving memory, reinvigorating tradition, and opening doors to more vibrant connections to Jewish life. 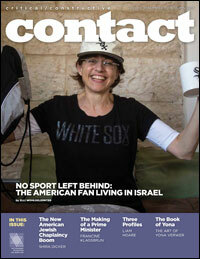 For our lead article, Elli Wohlgelernter explores the ﬂuid interplay of identities that plays out in sports fandom among Americans living in Israel. Unable to let go of one of the more palpable reminders of home, they follow familiar teams from their pasts and adjust their lives to maintain connections with an invaluable part of their backgrounds. The issue then delves into the spiritual and ritualistic realms, with Shira Dicker covering the growing Jewish chaplaincy movement. Incorporating healing and embracing struggle, the movement infuses Judaism with a renewed focus on compassion, personal growth, and the human need for relationship – and it’s drawing increasing numbers of Jews to its ranks. Our Profiles Section visits three Jewish women making accessibility the watchword of the Jewish community, whether it’s opening the doors of communal life in Berlin, expanding the opportunities for those with intellectual cognitive-development disabilities, or making Jewish texts and tradition more accessible to children, adults, and anybody in between with access to a screen. 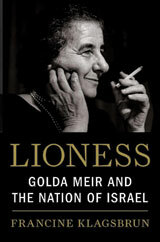 CONTACT then features an excerpt from a new biography of Gold Meir, chronicling her American activism prior to her arrival in Israel. 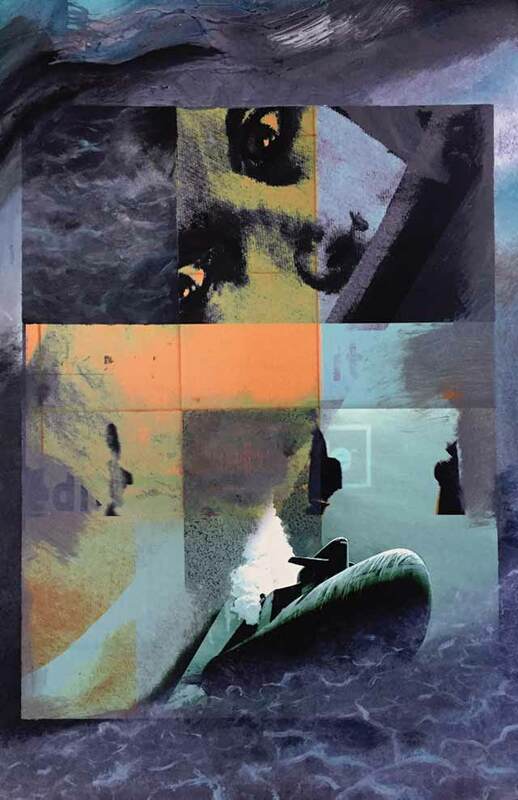 Finally, we embark on a trans-Atlantic journey of memory and identity via the striking multimedia art of Yona Verwer. Taken together, the features in this issue reveal a community forging new paths of Jewish meaning while deepening its connections to personal and collective history.